Been discovering a lot of new places recently, all thanks to Zomato. 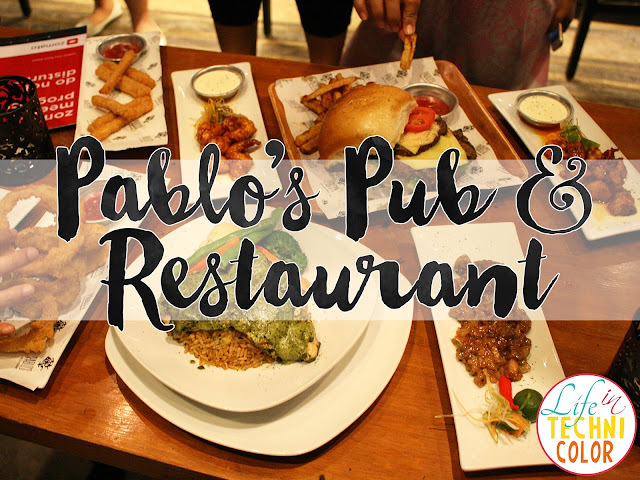 This time, we headed to Pablo's Pub, named after Pablo Escobar. If you don't know him, google him, or better yet, watch the tv series Narcos. 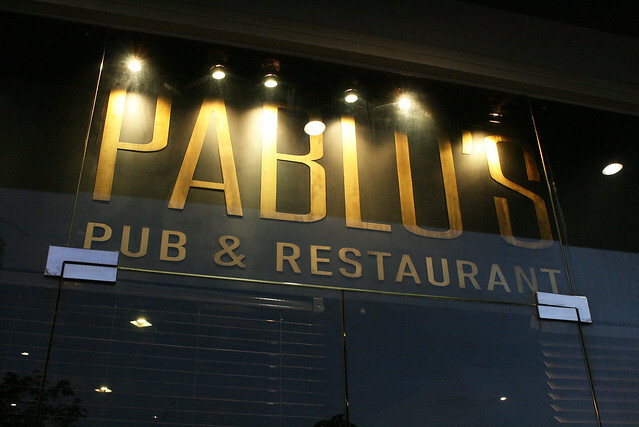 It was the way he treated his guests, how he made them feel welcome and comfortable, with VIP rooms for only the most important people - that's the vibe that Pablo's Pub wants to give everybody. 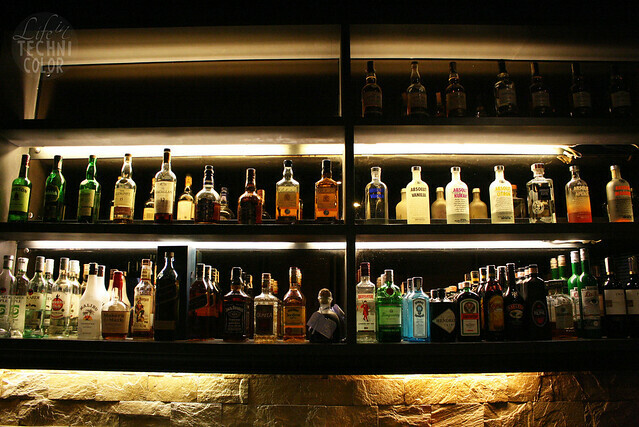 It's a place perfect for the after work crowd to go to and not talk about work. It's for fresh out of college kids who want to enjoy their newly found freedom - to relax and not worry about any papers or finals or thesis. 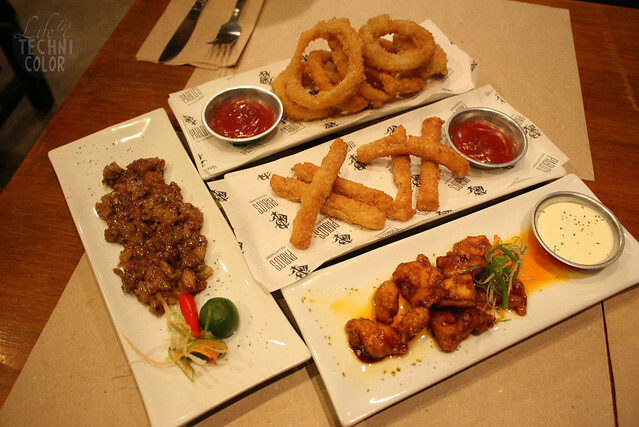 We got to try their P199 happy hour promo where you get two beers plus a solo serving of one of the following appetizers: sisig, onion rings, spam fries, or chicken tenders. 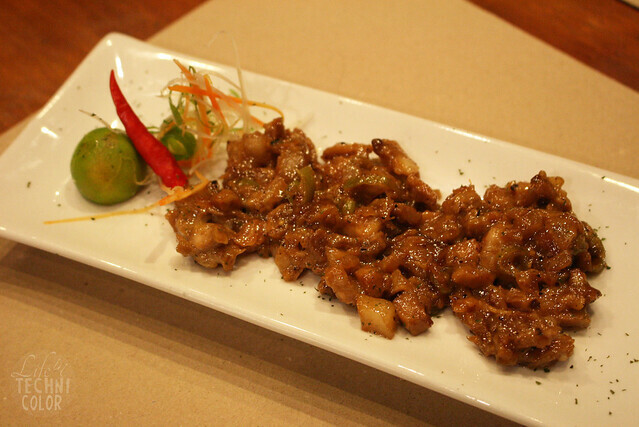 For the sisig, some parts turned out too salty, but it gets better with calamansi. I liked that they served it creamy and not dry/burnt though. The onion rings was okay. I don't really have any preference when it comes to this because I only started eating it recently. 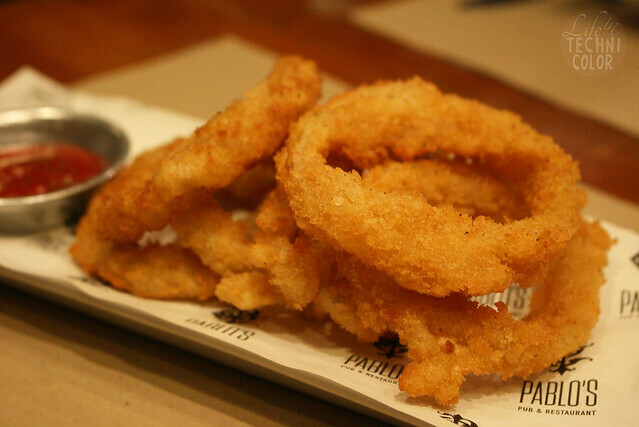 For now, I think all onion rings taste the same, it all boils down to the sauce used, and here, it's ketchup. Not that I hate ketchup, in fact, I love it; I just don't think it's the perfect condiment to go with onion rings. 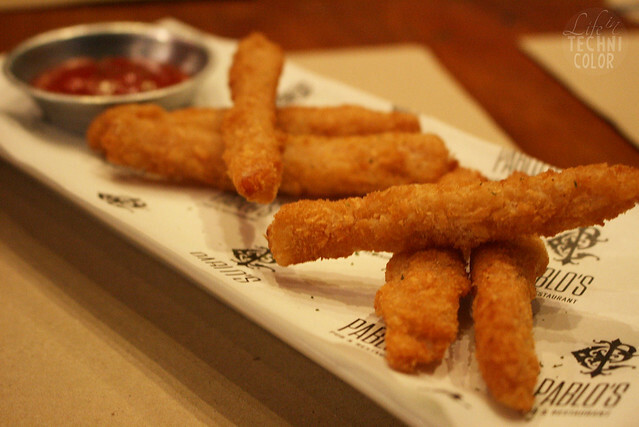 As for the spam fries, personally, I enjoyed it as an appetizer-slash-pulutan. I liked the texture and it went really well with ketchup, but at some point, I started to question its spam content since I couldn't taste as much of it anymore. 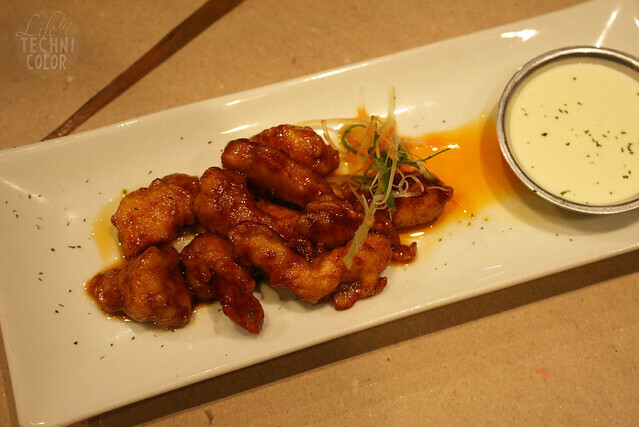 Finally, here's my favorite appetizer for the night - the chicken tenders! 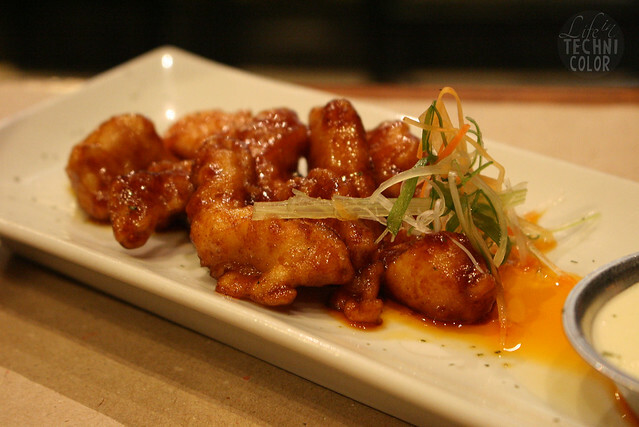 It's like buffalo wings, without the bones, so it's perfect for lazy people like me! Haha! I liked that it was spicy and juicy, and that it came with a blue cheese dip. For the mains, we got to sample two dishes, The Classic Burger and the Grilled Chicken Jambalaya! To be honest, this surprised me. I'm not huge on burgers, but I really liked how this was put together. Since it has two patties, I wasn't able to finish mine. 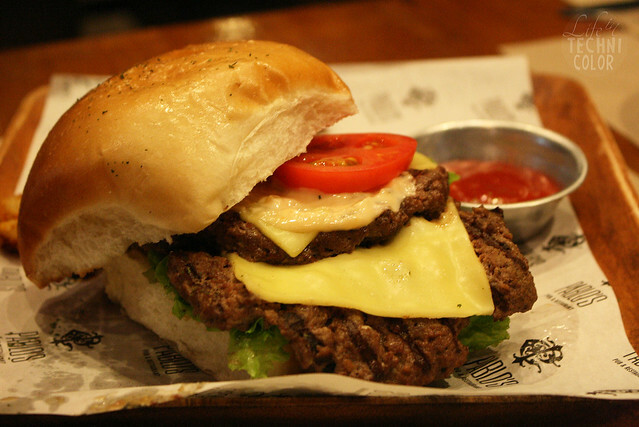 The patties were juicy and tender and flavorful, but when it got cold, I kind of thought it was nakakaumay. So here's my recommendation: take a quick snap if you must, then eat it immediately! It's a good burger with a short life span - in a hot v.s. cold way, at least. I would love to come back and try their Wild Shroom or Wasabi Mayo burgers next time though! 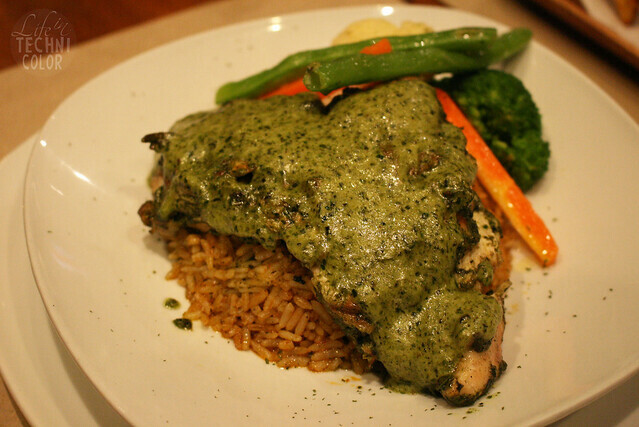 The chicken itself wasn't drowning in flavor, so the pesto sauce complemented it well. I liked that it was creamy and cheesy - two things I love in any dish. Haha. Another thing to note would be the jambalaya. Oftentimes, rice isn't given much importance by the kitchen (for example, java rice that's plain rice with food coloring). But Pablo's jambalaya was the bomb! I couldn't stop eating it, it was spicy, and had me drinking more water than I usually would during a meal, but it was so good! I liked combining it with the pesto sauce as well, it was a party in my mouth. The side veggies weren't bland, so that's a plus too! This is something I'd definitely order again. 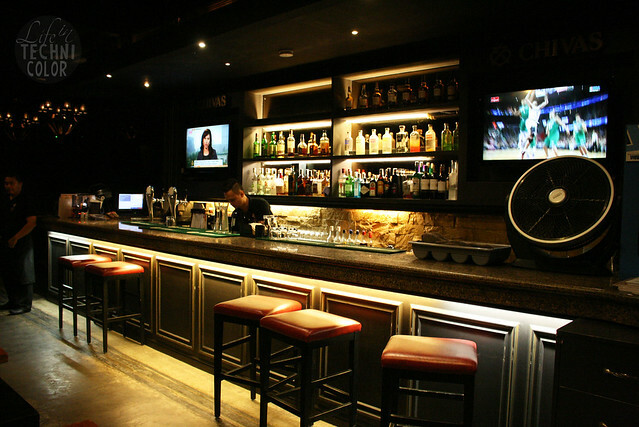 The Forum, 7th Avenue Corner Federacion Drive, Bonifacio Global City, Taguig City. The food looks really delicious and the pictures make me so hungry. The colors look like I can almost taste it. 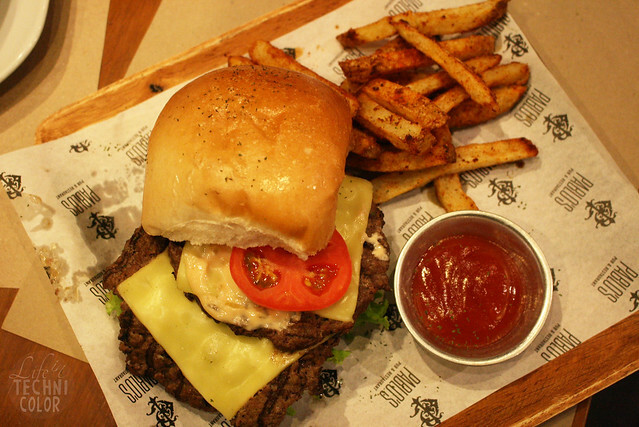 The food is totally my style, I loved the fried food, hamburgers and the feeling of being in a pub. So comfy and relax. It was! That jambalaya was really delicious. 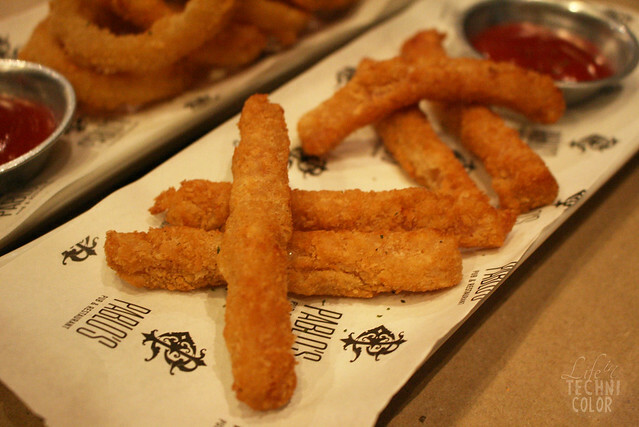 I'm craving for some right now!